COMING SOON - 2019 Rosters and the 2019 schedule. Stay Tuned! FINAL RESULTS FOR 2018 SEASON! Photos can be found in the November Bocce Ball Newsletter. In 2018 we had a 21 week schedule with a May 3rd start, July 5th picnic, September 27th playoffs and October 4th Banquet. We finished the season with 33 teams and 12 alternates. We hope everyone had a fun season and hope to see you in 2019! In 2005 two bocce ball courts were constructed at Lake Summerset for the use of all Lake Summerset residents and lot owners. It created another three-season outdoor activity facility for all ages. The courts are located at the south side of the lake between the swimming pool and the tennis courts. 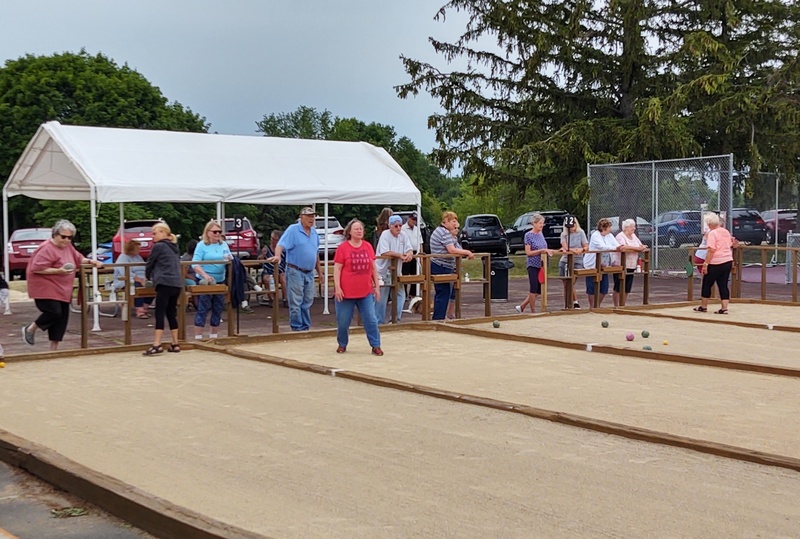 During the playing season a set of bocce balls furnished by the Bocce Club may be checked out at the front gate and used by any Lake Summerset resident or lot owner.The Bocce Club of Lake Summerset was formed with approximately 75 members and competition games began in 2005. Third and fourth courts (2006-2010) and four 10x 20 shade tents (2007-2008) were purchased and installed by volunteer club members as the club grew to 161 members by 2012. Additional shade tents are in the future plans for the comfort of our growing membership. 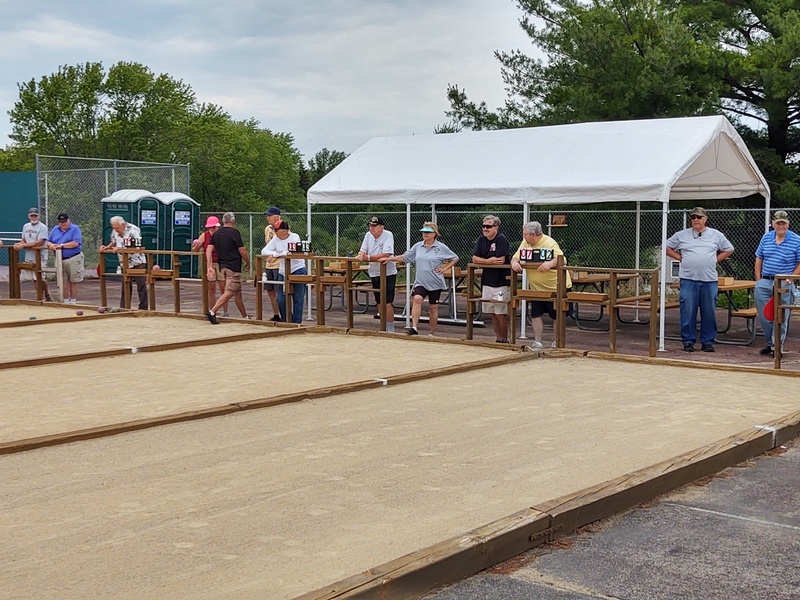 The Bocce Club of Lake Summerset is a social and outdoor game club. 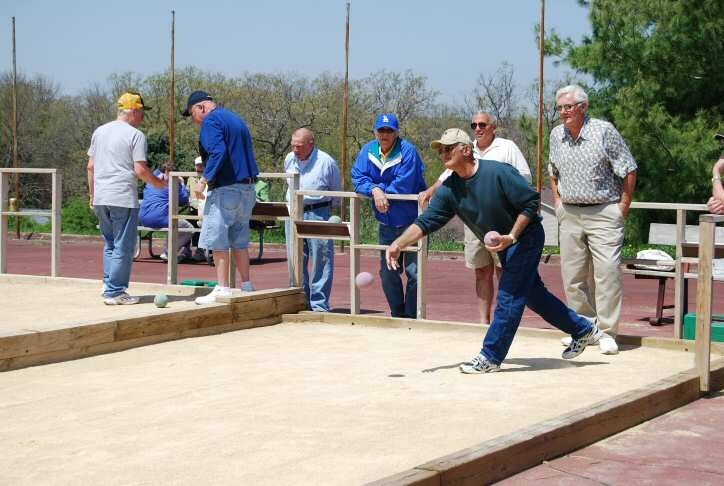 The Bocce Club is open to all Lake Summerset residents and lot owners. We have the courts reserved on Thursdays, May through September, and play regularly scheduled games starting at 10:00 A.M. each week. Season membership fee is $10.00 per person and $1.00 for each week of play. These dues are mainly used for season-end banquets and team prizes. We invite you to join us as a team player or as a substitute player. A fun summer member participation league and a good place to meet some of your Lake Summerset neighbors.